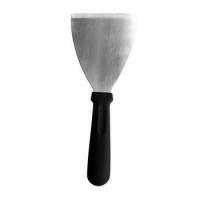 Mini Turner | Kitchen Tools(KEB-236) - Keywood International Inc.
Mini turner is a lightweight, versatile kitchen tool. Like its bigger cousin, the tool is perfect for chopping, flipping and serving food. The blade edge can be sharpened occasionally to provide time-tested performance in the kitchen.